Are you running the same route, eating the same grilled chicken and veggies for dinner, or listening to the same playlists over and over? Anyone can fall into a rut, but it’s time to push past the monotony and re-energize your habits. Choose among these apps to find inspiration and ideas to eat, exercise and, yes, sleep better every day. If you’ve made a commitment to find and stick to a fitness plan, terrific. But sometimes you can feel lost as to what to actually do once you get to the gym or head outside. 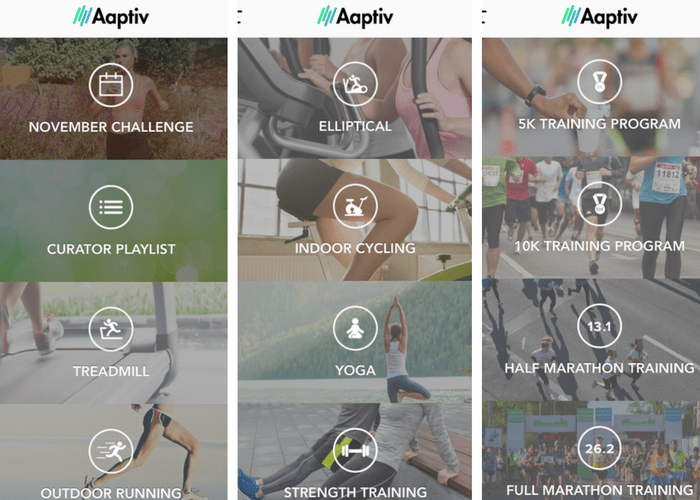 While there are countless workout video apps and web sites, Aaptiv sets itself apart by offering on-demand audio fitness training through your smartphone, letting you take personal coaching on the go with you from a trail run to an at-home yoga session. Each trainer motivates you to get up and get going, while perfectly matched music keeps you energized and sees you through. While allowing yourself the time and focus to clear your mind can feel like a luxury that we can’t afford, it is crucial to maintaining balance. But if you have trouble blocking out the noise and finding some peace, Headspace can be your guide. (Wall Street execs, Olympic athletes and moguls from Richard Branson to Gwyneth Paltrow are among the app’s more than 10 million users worldwide.) Start off with the free Take10 program, which introduces you to the practice of meditation for 10 minutes a day in 10 days, while a subscription unlocks access to a deeper range of mindfulness exercises from just a couple minutes to one hour. Tailor it to focus on what matters to you most, then follow the straightforward guidance on breathing and visualization to reap the benefits every day. When trying to maintain a healthy lifestyle, we track everything from our steps to our calories and our water intake. But have you ever examined – or even thought about – your sleep patterns? The Sleep Cycle app gives you that insight by monitoring your your sounds and movements while you sleep to detect when you’re in your deepest sleep. It then adapts to your rhythms to wake you up at your lightest sleep state so you’ll start your day feeling more naturally refreshed. Combine that with the app’s analysis of your time asleep, and you’ll feel motivated to place more of a priority on making good sleep a part of your daily routine. We all want to make the most of our time and exercise app Keelo gets this by focusing on high-intensity interval training (HIIT) and offering strength, cardio and conditioning workouts ranging from about 7 to 20 minutes to complete at the gym or at home. 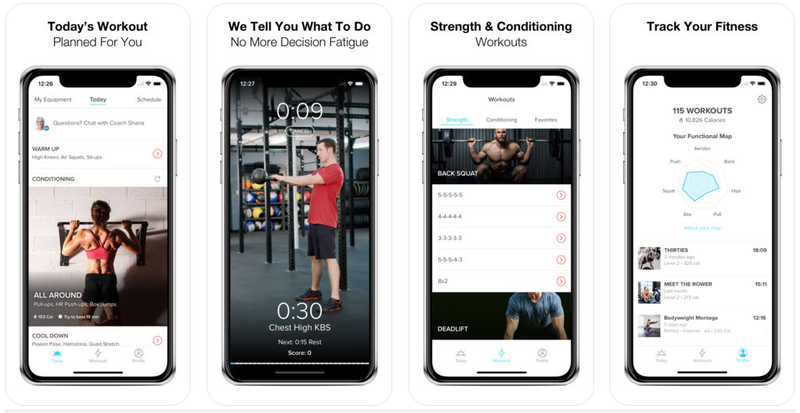 Keelo can devise a workout plan based on your goals, then spell out each stage of the workout so you know exactly what to expect before you begin. Plus, with the option to sync with Apple Health, you’ll have the ability to track your results and even access a virtual coach to keep you going. Once you’re eating more organic foods and reading more nutrition labels, that’s great – but what happens when you start asking questions about what’s in your everyday products like shampoo or shaving cream? Who do you ask? Enter Healthy Living, a comprehensive, ratings-based app that explains exactly what ingredients are in more than 120,000 food and personal care products. You can search for a product by name, scan a barcode or scroll through the app’s own recommendations on what to buy. 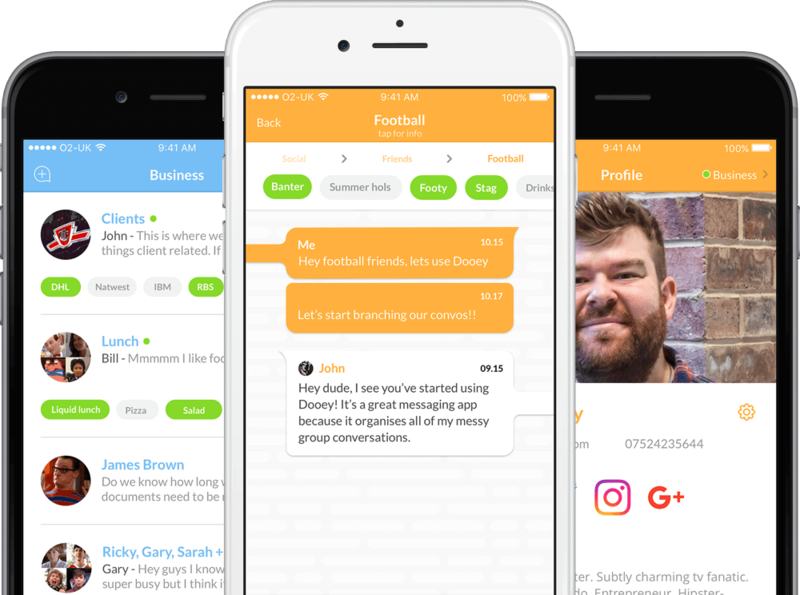 Dooey claims to be the world’s first messaging app created to simplify the lives of mobile users by bringing their work and social communications to one place. It aims to keep communication simple by consolidating messaging from its current fragmented state into a single coherent platform. The app is divided into two dedicated channels; a place where users can seamlessly switch between “social” and “business” modes with one toggle so that they can more easily focus on different projects. It looks to give users full autonomy across both aspects of their lives, allowing them to decide which contacts they add to each section of the app. While the social side gives users a space to chat freely to friends and family, the business side will only be visible to chosen work contacts, helping users to retain a healthy work life balance. The Moves app is a free application available on both iOS and Android that makes use of the accelerometer and GPS functions of a smartphone to collect information such as distances traveled between exact locations on a map and even calories burned. I have found that this was a very reliable way of tracking my own steps when traveling locally between my home and office, but also further afield, too – even when you don’t have data roaming switched on. It’s also completely free. Bonus! Smartphones are as close to us and nearly as necessary as our house keys. Therefore, using the right apps that can boost our energy levels, assist us with better eating options and motivate us, is a rather efficient and tech friendly approach! So, be brave and delete the FB app and replace it with any one of the above!